Nearly 13,000 people in the Tippecanoe County area received assistance from the Salvation Army over the past year. 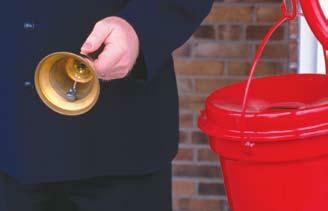 Much of that help was due to the organization's annual Red Kettle Campaign. The holiday fundraiser brought in $156,000 a year ago. Major Jim Irvine says they hope to raise even more this year, because the need for help has not declined. This year's Red Kettle goal is $160,000. The Salvation Army hopes to raise $360,000 total during the holiday season. Irvine says the money helps pay for heating assistance, food and youth services throughout the year. He says there will be 20 Red Kettle sites around the community.